The tropical taste of pineapple juice is always within reach, thanks to canning. When properly stored, opened pineapple juice can last for one week. 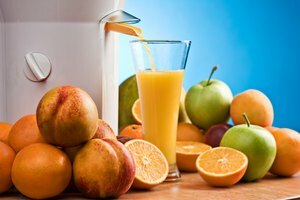 While the juice is acidic, that doesn't mean it's completely safe from harmful bacteria. 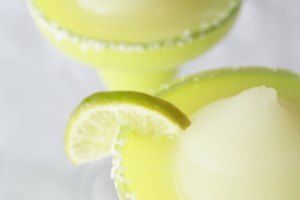 Always look for signs of spoilage prior to drinking or using it in a recipe. Cans must be checked for dents or bulges prior to opening; a pinhole opening in the crease of a dent can let harmful bacteria enter, and a bulge can mean bacteria have produced gas byproducts inside the can. 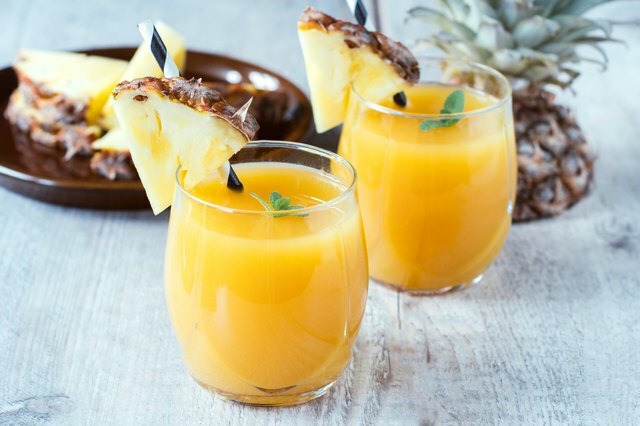 Once opened, pineapple juice should be promptly removed from a metal can and stored in a covered jar or container in the refrigerator at 40 degrees Fahrenheit or lower. 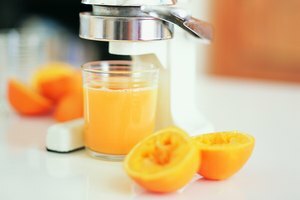 Juice packaged by a grocery store, juice bar or restaurant could be unpasteurized and should be refrigerated within an hour and consumed within a day. 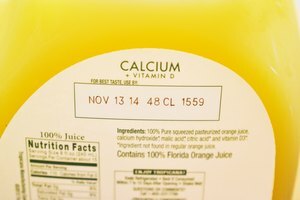 Unpasteurized juice is labeled as such. It can contain bacteria harmful to those with weakened or insufficient immune systems, including children and the elderly. Those at risk should only consume pasteurized pineapple juice.